Experienced film industry horses, riders and equipment. “Gettysburg” 1992 Ed with Tom Berenger who played Gen. Longstreet. 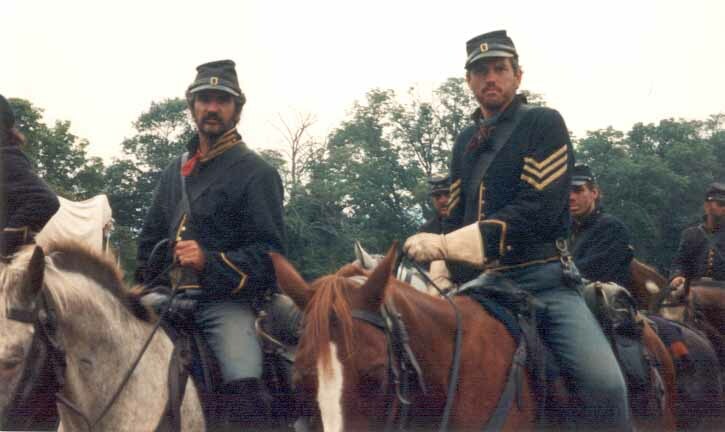 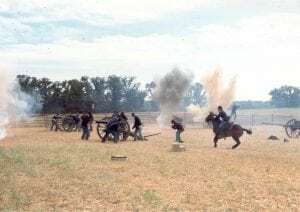 “Gettysburg”1992 Ed as Cavalry Sgt. 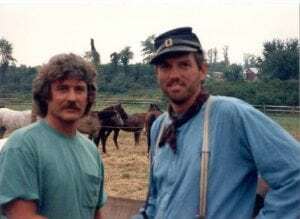 with buddy Jim Hannah.